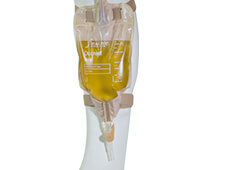 Select a suitable place to drain your leg bag such as a toilet or suitable container. Pull the tap down. The first 90° is an easy movement but will not open the valve. 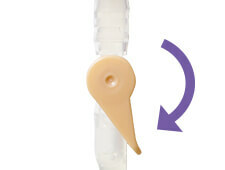 Rotate the lever through the slightly stiffer second stage to 180° to open the valve and drain the leg bag. Close the tap once the bag has emptied. Wipe the outlet clean. 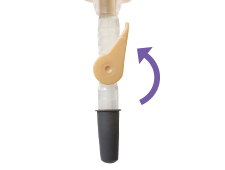 You can use the dust cap to protect from any drips.